What's the mark of a true genius? A Nobel Prize based on work that someone did in their PhD thesis at age 22? The fact that their theories are used in a stunning variety of disciplines, from economics to biology to government welfare? Or that their college professor signs off on their graduate school recommendation letter with a single line - "This man is a genius"? To me, none of these facts mark out John Forbes Nash as an authentic genius as the fact that the work for which he won the Nobel Prize was, intellectually speaking, not even regarded as the most important piece of work he did, not even by himself. His most important work was instead a highly counterintuitive theorem in topology which he attacked with startling creativity and fearlessness, two qualities that he was becoming known for before his illness cut his career short. In contrast, he himself called his famous equilibrium "trivial", a piece of research he did because of his interest in games and pure math. In fact he almost stopped working on game theory after transitioning from Princeton to MIT as an instructor, saving his time for "real" math such as number theory and topology. In showcasing this multifaceted intellect Nash joins a rarefied tradition of brilliance that features only a handful of stars including John von Neumann, Hans Bethe, Linus Pauling and Albert Einstein. And speaking of real geniuses, even the reigning mathematical genius of the twentieth century - von Neumann - immediately recognized Nash's mathematical contribution by exclaiming "Oh that's trivial you know; it's just a fixed point theorem". Now granted that it would take any other mathematician at least a few days to figure out what von Neumann could figure out in a second, but von Neumann's instant grasp of the problem demonstrates that Nash's math itself was not exactly on par with the solution of Fermat's last theorem. For me, what stands out especially about the Nash equilibrium was that Nash solved it mainly as an interesting problem in mathematics and not as a problem with potential applications in economics. He was first and foremost a pure mathematician and any applications were to him of secondary importance. The relevance of equilibria in games for economics had been made clear by von Neumann and Oskar Morgenstern in their landmark work introducing game theory to the world. But they had only considered so-called "zero-sum" games where one person's win is another's loss. Nash significantly extended their work by making it applicable to the real world where losses and wins are usually distributed in a complex manner across multiple parties. He identified a set of conditions where party A has nothing to gain by varying their strategy as long as party B keeps theirs fixed and vice versa, and his real interest and genius in doing this was to apply a purely mathematical theorem called the fixed point theorem to the problem. His paper on the proof of this set of conditions was one of the shortest papers ever to win the Nobel Prize, and it was an absolutely first-rate example of using ideas from one field to fertilize discoveries in another unrelated field. And then Nash moved on to other things, mainly regarding his contribution as something that would fetch him a quick PhD at age 22 and allow him to work on more important problems like the Riemann hypothesis. 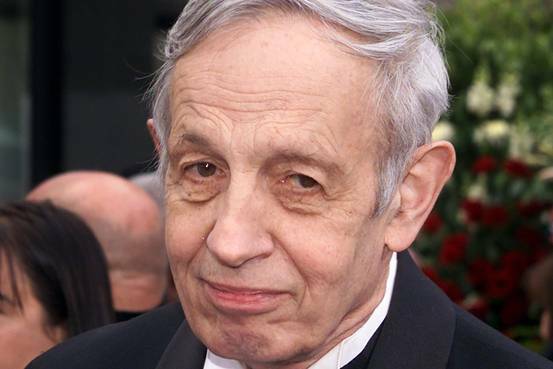 Thus, his solution of the Nash equilibrium, as relevant as it was for economics, was not seen by him as an applied problem but simply as an interesting problem in mathematics. As economics writer John Cassidy describes it, fifty years later the Nash equilibrium was everywhere, and its reach had far exceeded Nash's wildest imagination. "These days, political scientists, evolutionary biologists, and even government regulators are obliged to grasp best-response equilibria and other aspects of game theory. Whenever a government agency is considering a new rule—a set of capital requirements for banks, say, or an environmental regulation—one of the first questions it needs to ask is whether obeying the rules leads to a Nash equilibrium. If it doesn’t, the new policy measure is likely to prove a failure, because those affected will seek a way around it. John Nash, in writing his seminal 1951 article, “Non-Cooperative Games,” which was published in The Annals of Mathematics, surely didn’t predict any of this. He was then a brilliant young mathematician who saw some interesting theoretical problems in a new field and solved them. But one thing led to another, and it was he, rather than von Neumann, who ended up as an intellectual celebrity, the subject of a Hollywood movie. Life, as Nash discovered in tragic fashion, often involves the unexpected. Thanks to his work, though, we know it is possible to impose at least some order on the chaos." The message of Nash's life is that it was pure curiosity-driven work in mathematics, not economics, that led to his great contribution to economics, biology and a host of other disciplines for which it was not originally designed. This is how curiosity-driven research works; you sustain bright people and give them the freedom to pick their own problems. And then you watch the solutions to those problems sprout wondrous branches in novel and unexpected terrain. That kind of research simply does not work if you ask people to produce results for the next quarter or papers for tenure. Nash is certainly not the first one to have benefited from this freedom, but he may very well be among the dwindling few who would be able to work unfettered if the current disdain and lethargy for basic science continues. The John Nashes of the next twenty years may have acute constraints imposed on their creativity, and while this would undoubtedly curb their creativity, the real losers in this zero-sum game would be all of us. You don't need mathematics to prove this fact. It's something Nash would have noted with more than a touch of irony. R.I.P. Thanks for a great article; however, I think in pure maths these days the "curiosity-driven research" has gone too far, at least speaking from my own grad school experience. You have heaps of people working on problems that are so technical and remote that conversation is often dificult even between students of the same advisor. One thinks with great wonder that people like Fourier may have worked on curiosity-driven work, but were also closely embedded with the world, travelled to Egypt with Napoleon and all that. Maths these days has become too insular in its "freedom to pick its own problems", IMHO. Good point! Agree there has to be some balance, but it's always tricky to draw the line...the other problem is with things like string theory where people are working in a world far removed from experiment.